This Saturday! I’m rooting for Nick Diaz (Bay Area!) 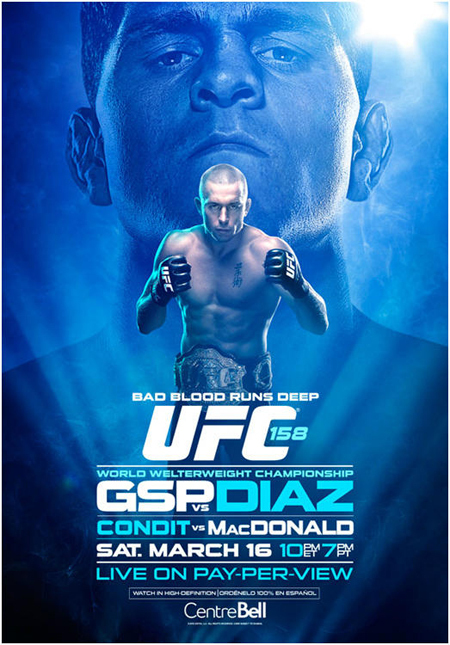 over GSP, Hendricks over Condit. 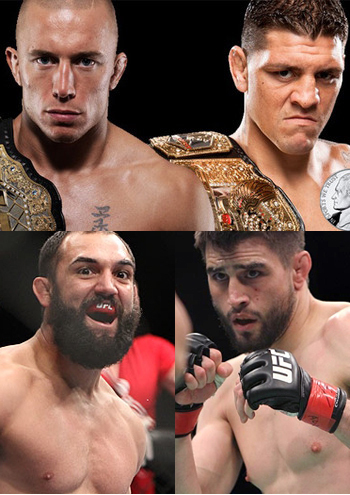 I’m a fan of all four fighters…but it’s Nick Diaz. For that less than stunning win over Nick Diaz, I hope Condit gets caught by Hendricks: that “smart” “safe” win over Diaz wasn’t anywhere near the fight anyone wanted to see. I would have been fine with Condit winning had he done it by engaging Nick. 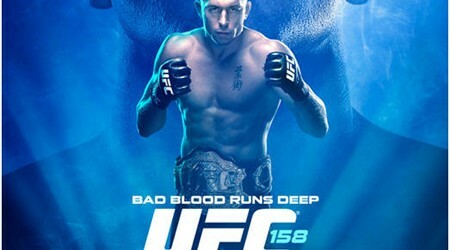 At least with GSP, I won’t have to worry about GSP not taking the fight to Diaz, especially with the trash talk and tension that’s been brewing over the years. I’d be ok with Condit winning, of course, but I just hope this is the Carlos Condit that we’re used to seeing and not the one that fought Nick Diaz. We representing for that Nick Diaz mane!!! I’m with you, fam! Diaz brothers for the win!